Dustin Johnson retained his rank at the top of Men’s Golf rankings. Justin Rose replaced Justin Thomas as the 2nd ranked player in this category. 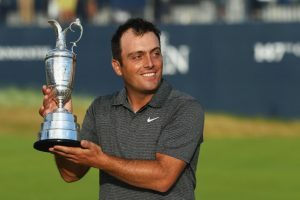 Francesco Molinari won the open championship and upgraded his rank from the 15th to 6th position. After quite some time, Tiger Woods appeared to be in form and his performances at the open allowed him to jump 21 ranks to the 50th position. For Complete rankings along with Women’s Golf Rankings go to the next page!